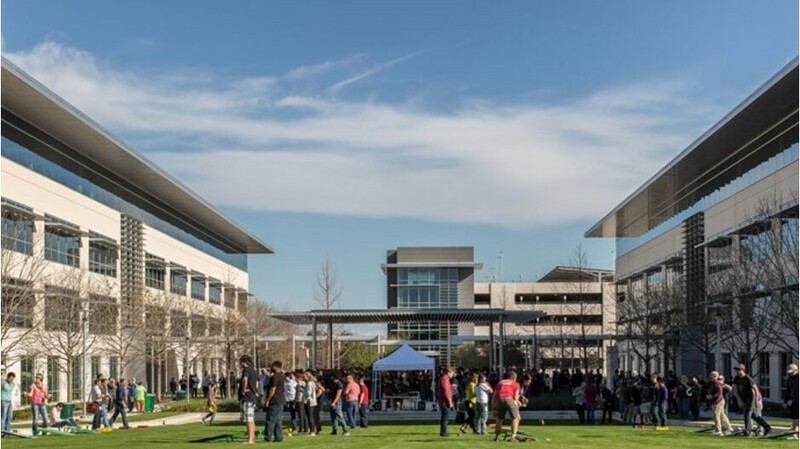 Apple's current facilities in Austin, Texas. After completing its most recent campus and current headquarters – Apple Park – just over a year ago, Apple has today announced plans to create an all-new campus in North Austin. The new 133-acre site will be located less than a mile from the company’s existing facility and will represent an investment of $1 billion. Initially, Apple expects the site to accommodate around 5,000 employees. But as the company continues to grow its workforce, this number could rise to as much as 15,000. On a related note, the campus will support engineering, R&D, operating, finance, sales, and customer support teams. Additionally, just like its other worldwide facilities, Apple confirmed that the new campus will be powered by 100 percent renewable energy. This will be combined with as much as 50 acres of preserved open space. Alongside the new campus, Apple also announced plans to create as many a 20,000 new US jobs by 2023. Aside from the new recruitments in Austin, the Cupertino giant will continue to grow its presence in Seattle, San Diego, and Culver City to over 1,000 employees. Hundreds of jobs will also be added in Pittsburgh, New York, Boulder, Boston and Portland, Oregon. The company’s Miami office is now expected to double in size too. Lastly, Apple confirmed big plans for its data centers in the US. Over the next five years, the company plans to invest around $10 billion in these facilities, $4.5 billion of which will be invested throughout 2019 and 2020. And, once again, it mentions that both current and future data centers run on 100 percent renewable energy. I don't believe anything, especially this part, R&D. You would think you would be able to invent such industry changing things like a "Liquid Retina Display" almost anywhere. Anything that puts people to work is a good thing.